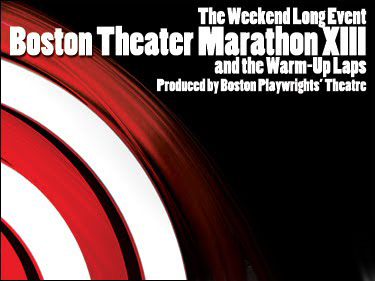 Boston Playwrights’ Theatre presents the 13th annual Boston Theater Marathon along with the third year of The Warm-Up Laps fro May 20 - 22 at the Stanford Calderwood Pavilion at the Boston Center for the Arts, 527 Tremont Street in Boston. The Boston Theater Marathon features 50 ten-minute plays by 51 New England playwrights produced by 50 New England theatres in 10 hours. The Boston Theater Marathon has brought playwrights, directors and theatres together over the past 13 years in an effort to foster collaboration between artists and producers. Many playwrights have enjoyed full-length productions with collaborating theatres because of relationships forged during the Marathon. All net proceeds from ticket sales will benefit the Theatre Community Benevolent Fund which provides financial support to theatres and theatre artists in times of need. "The Correspondent" by Ken Urban - Reading begins at 1 p.m.
"Uncle Jack" by Michael Hammond - Reading begins at 4 p.m.
"Deported by Joyce Van Dyke - Reading begins at 7 p.m. The Warm-Up Laps are free and open to the public – limited to 100 seats per performance. No reservations are necessary. Tickets for the Marathon performances are priced at $25 in advance or $35 at the door. For information, call 617-933-8600 or visit www.bostonplaywrights.org.